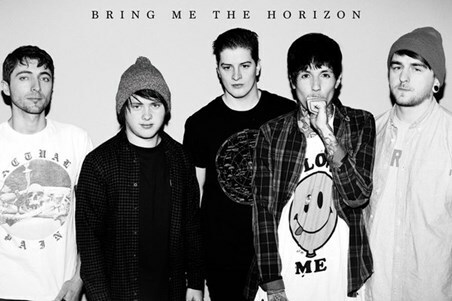 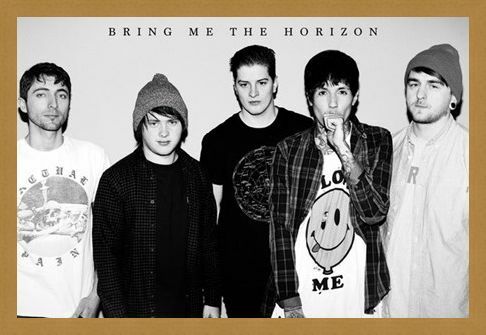 Music Maxi Poster: Celebrate the highly anticipated release of Bring Me The Horizon's 2013 album 'Sempiternal' with this awesome maxi poster which features a monochrome portrait of the band. Oli Sykes, Lee Malia, Matt Kean, Jordan Fish and Matt Nicholls appear nonchalant as they pose for the camera, radiating the look and feel of a well established metalcore band. So if you love Bring Me The Horizon and want to get up close and personal with Oli and Co then why not hang this poster on your wall and prepare for 'Sempiternal'. High quality, framed Sempiternal, Bring Me The Horizon poster with a bespoke frame by our custom framing service.